Home / News / Reason behind Allu Arjun's announcement delay! Reason behind Allu Arjun's announcement delay! Stylish Star Allu Arjun's have been eagerly waiting for the announcement of their Star's next film. But the Stylish Star is yet to announce any details regarding the film including the movie director. Ever since the debacle of Na Peru Surya, Bunny hasn't signed a single film, despite listening to numerous scripts from several directors. We heard that Allu Arjun's film with Trivikram Srinivas is almost confirmed, however neither the director, nor the actor, nor any production house confirmed the news. Allu Arjun at the recent pre-release event of Taxiwala informed his fans that he'll soon make an announcement on his next project, but didn't divulge director Trivikram's name which caused further confusion among fans. 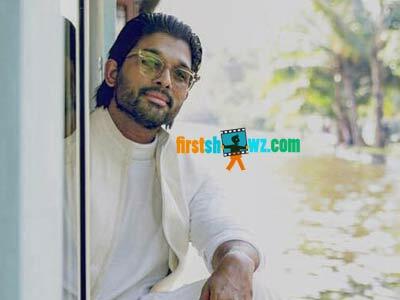 So what's Reason behind Allu Arjun's announcement delay? Some say Producer hasn't been yet finalized for the movie, and Trivikram is yet to finish the script. So the final announcement will be made soon. But gossip mongers are abuzz that Trivikram is looking for another hero as the film is the remake of the Hindi hit Sonu Ke Titu Ki Sweety. We need to wait for some time to find actual truth.